Journey with TradeWinds to exclusive hand-picked luxury All-Inclusive luxury vacation destinations that enrich your heart and your mind. Broaden your horizons as you explore a collection of our favorite tropical paradise islands. Adventure off the beaten track to experience a melting pot of historical and cultural excellence. Or go on a voyage of self-discovery and simply make your travel dreams a reality. We offer our guests three All-Inclusive vacation options; Land-based, Sea-based and our exclusive Land & Sea Experience. Our dedicated team has travelled the globe to source the finest vacation destinations. Select your vacation option below and discover the world with TradeWinds. Ready? Let's go! The calm, alluring waters of the Caribbean Sea make for perfect sailing and great diving as you explore an underwater world. Discover more about the Caribbean or explore the hidden treasures of the Bahamas. Join us and unwind as we set sail for the stunning heart of the Caribbean, the alluring island of Antigua. For those looking for a taste of the Caribbean, this charming island is the perfect destination for a low key, relaxed vacation. "Liming in Da Caribbean" is very much the motto of the day, every day. With over 54 miles of expansive coastline, there is something for everyone, whether at sea or on shore. Antigua offers diving enthusiasts the perfect underwater haven to explore its coral reefs and marine life, including the endangered Hawksbill sea turtle. Whilst the seductive, white sandy beaches are perfect for a romantic stroll at dusk. Just four hours from New York and approximately nine hours from Los Angeles, the magic of Antigua is just a short flight away. This is one TradeWinds experience, you won't want to miss out. Book your perfect escape on one of our luxury Antigua yacht charters. Join us as we take you on a journey to one of the Caribbean's most celebrated cruising destinations, the British Virgin Islands. Breathtakingly beautiful beaches, superb snorkel hideaways, lush green mountains and friendly anchorages, are just some of the reasons why this is a must-visit destination. Experience the beauty of a paradise archipelago made up of over 60 islands - it's no wonder these islands are called "Nature's little secrets". But let's keep that between ourselves! Whether you decide to take the helm, or sit back, relax and enjoy the views on a Flagship Class catamaran, you won't be disappointed with what the British Virgin Islands has to offer. Tortola is just over two hours from Miami and three and a half hours from New York, so island paradise is just a short flight away. A truly once-in-a-lifetime TradeWinds experience, be sure that you don't miss out. Book your perfect escape on one of our luxury BVI yacht charters. Discover one of the world's best kept secrets, the enchanting islands of St Vincent and The Grenadines. A cluster of 32 paradise islands and cays, come relax and unwind in one of the most picture perfect destinations we have to offer. 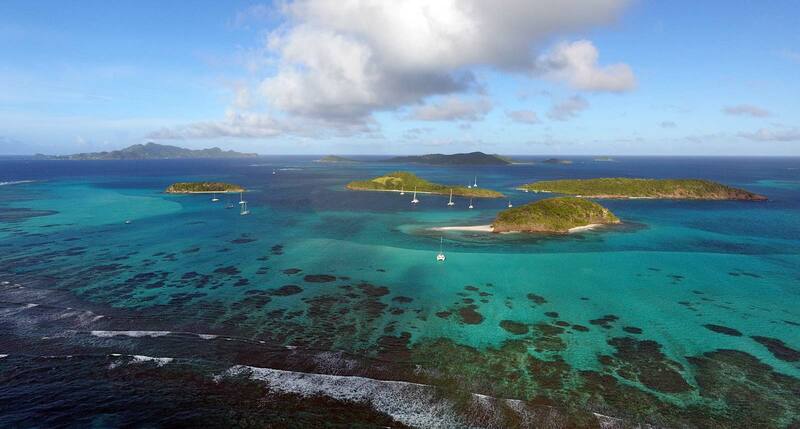 Secluded bays, mesmerizing azure water and spectacular landscapes are just some of the wonderful sights you will experience on our luxury St Vincent and The Grenadines yacht charters. The best way to reach these stunning islands is to fly into Barbados, which is only a short 40-minute flight from St Vincent. Barbados is only three hours from Florida, four hours from New York and nine hours from Los Angeles. We think the national anthem - "Saint Vincent, Land So Beautiful" - is spot on. You'll be hard pressed to find anywhere else with the natural beauty and charm, these islands have to offer. Let TradeWinds look after your every need. View our latest offers and find your dream vacation on one of our luxury, all-inclusive St Vincent and The Grenadines yacht charters. Join us for some Caribbean 'Fun in the Sun' and exciting pirate adventures, click here for more info! Bienvenue Chez Nous and Welkom to the mesmerizing dual island nation of Saint Martin and Sint Maarten, the crossroads to the Caribbean. A year-round, tropical climate, enchanting sandy beaches, exciting scuba diving sites and sparkling, azure waters are just some of the highlights waiting for you in paradise. This charming island nation is divided in the middle, the north part of the island, Saint Martin is French, and the south, Sint Maarten is Dutch. Distinctly different, both sides of the island offer visitors a unique, charming and exciting opportunity to experience a culturally diverse Caribbean way of life. Just over two and a half hours from Miami and three hours from New York, paradise is just a short flight away. A truly once in a lifetime TradeWinds experience, be sure that you don't miss out. Book your perfect escape on one of our luxury St Martin yacht charters. Bonjour et Bienvenue, and join us as we set sail for the beautiful French speaking Caribbean island of Guadeloupe. Encounter a wonderful mix of French and Caribbean hospitality, stunning panoramic views, rolling hillsides and captivating sapphire waters. This breathtaking butterfly-shaped island offers its visitors an opportunity to explore, dream and discover what makes Guadeloupe a truly unique destination for a dream vacation. 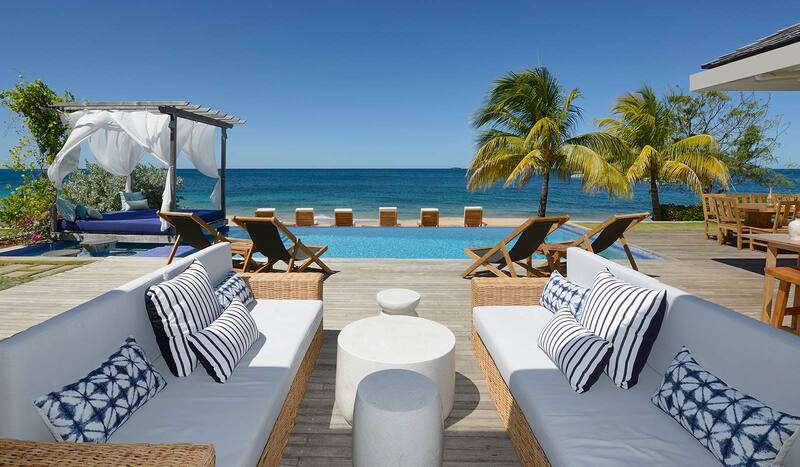 An eclectic mix of Caribbean climate and trademark beautiful beaches, French style and sophistication, and a little bit of Creole thrown in for good measure, it won't be long before you feel right at home. Just three hours from Miami, Florida and four and half hours from New York, paradise is just a short flight away. A truly once in a lifetime TradeWinds experience, be sure that you don't miss out. Book your perfect escape on one of our luxury Guadeloupe yacht charters. Let us introduce you to one of our favourite destinations in the Bahamas, the tropical paradise islands of Abacos.With a year-round climate similar to Florida, miles of endless beaches and the chance to explore these vibrant islands, both on shore and at sea, Abacos has it all. Combining the rich heritage of boat building, naturally protected waters and colonial villages, we think that Abacos is the 'cay' to the Bahamas!Only a one-hour flight from Fort Lauderdale, and just five hours from New York and seven hours from Los Angeles, paradise is just a short flight away.A truly once in a lifetime TradeWinds experience, be sure that you don't miss out. Book your perfect escape on one of our luxury Bahamian Abacos yacht charters. With sapphire-blue water everywhere, the Exumas are an exotic collection of dream destinations. Palm fringed beaches and super-exclusive resorts and islands make this tropical paradise an absolute gem. The Exumas truly are the ultimate escape. The Exumas are an archipelago of 365 cays and islands, beginning just 35 miles southeast of Nassau. Once called Yumey and Suma (names of Amer-Indian origin), the islands have gone through many changes over the years. Today, they’re divided into three major areas: Great Exuma, Little Exuma and The Exuma Cays. Each offers its own unique Bahamian experience. Great Exuma and Little Exuma are known for their laid-back surroundings, while the Exuma Cays act as a playground for the rich and famous, boasting numerous private homes, luxury resorts and beachside condos. We will sail out of Nassau's Palm Cay Marina on New Providence island, and also from Emerald Bay Marina on the island of Great Exuma. For something a little bit different, but still offering plenty of excitement and adventure, join us as we travel to breathtaking Belize. Boasting endless beaches, rainforests, exotic flora and fauna, ancient Mayan ruins and a melting pot of culture, this small Central American country is definitely a hidden gem. Bordered by Mexico, Guatemala and the Caribbean Sea, Belize boasts the second largest Barrier Reef in the world and swathes of lush tropical rainforests inland. Combine this with a sub-tropical climate and a nature-lover's paradise and you're in for a real treat - this is definitely a voyage of discovery! Just two hours from Miami, five hours from New York and Los Angeles, paradise is just a short flight away. Become bewitched with Belize on this fantastic TradeWinds experience. Book your dream vacation one of our luxury Belize yacht charters. It's no secret that the islands of the South Pacific are always at the top of the lists for "best tropical vacations". Discover more about the South Pacific. ‘Bula’! Join us aboard our Luxury Class TradeWinds 59’ and Cruising Class TradeWinds 52’ as we discover Fiji’s beautiful islands in the heart of South Pacific. Discover paradise on earth as you set sail and experience superb sailing, marvellous marine life and beautiful beaches in one of the world’s most picture perfect destinations. The ideal location if you’re looking for a romantic vacation with a loved one or whether you want to indulge in some of the finest diving and water sports in the world! Enjoy exploring the island chains of Mamanuca and Yasawa as we sail to some of the best beaches and take you to some of our favourite spots in the South Pacific. With a rich culture of Polynesian, Melanesian and Indian influences, you’ll experience the perfect all-round vacation. Fiji is sure to excite sailors, divers, adventurers and those looking to unwind. In fact, we think that Fiji is a perfect destination for a dream vacation of a lifetime! The wonders of Fiji are waiting to welcome you. Maeva and join us as we set sail for the ‘Pearl of the Pacific’, the idyllic islands of French Polynesia. Boasting a year-round climate, crystal clear waters and white sandy beaches, this South Pacific haven has something for everyone. For the adventurous, an underwater world is waiting to be discovered. For those wanting to relax and unwind, then palm tree lined beaches and cascading waterfalls are within reach. Without doubt one of the friendliest places on earth, when you visit the islands of French Polynesia, you arrive as a guest. But you leave as a friend. Just five hours from Hawaii and eight hours from Los Angeles, this South Pacific paradise is just a short flight away. For a truly once in a lifetime TradeWinds experience, be sure that you don’t miss out. Book your perfect escape on one of our luxury French Polynesia yacht charters. If you're looking for unforgettable vacation destinations, there are few places in the world that offer the delights of the Mediterranean. Discover more about the Mediterranean. If you're looking for an unforgettable trip of a lifetime, with adventure, excitement and culture, then only a few vacation destinations will leave you wanting more. Discover more about the Central America. Discover the spectacular and breath-taking island paradise of Mayreau, the smallest inhabited island of the Tobago Cays Marine Park - the Jewel of the Caribbean. It’s horseshoe reef and surrounding untouched islands create the most stunningly protected marine environment where you can swim with turtles, snorkel over coral gardens and swim to uninhabited beaches. As you explore this captivating Caribbean island, you’ll find that Mayreau makes the perfect destination for a remote getaway – ideal if you need to relax, unwind and recharge. On the west side of the island lies 12 acres of beautiful sweeping private beach, with pristine white sand and two luxury beach front private villas called Tribu Mayreau - which we’ve just purchased exclusively for you, our Members! Both of our luxury villas have been designed so that each suite is its own detached pavilion-style unit, offering you the very best in both privacy and comfort. Our northern villa is bookable for shared experiences and our southern villa is available for private bookings, which makes this the ideal island getaway if you’re celebrating a special occasion with family and friends! Comprising four luxury suites, one of which is a premium suite, and room for up to eight people, each suite surrounds a central area, perfect for group dining and making new friends - think living space with seated areas, bar and pool. This unusual set up offers a unique blend of privacy, but still gives you room to socialize. Our dedicated team of private chef and butler will look after your every need during your All-Inclusive stay in Tribu Mayreau. Finally, beautifully landscaped gardens lead down to the villas' pièce de résistance - a pristine white sandy private beach. Just for you and your guests. To experience paradise, you need to experience Tribu Mayreau.